Explanation: Day and night on this little planet look a lot like day and night on planet Earth. 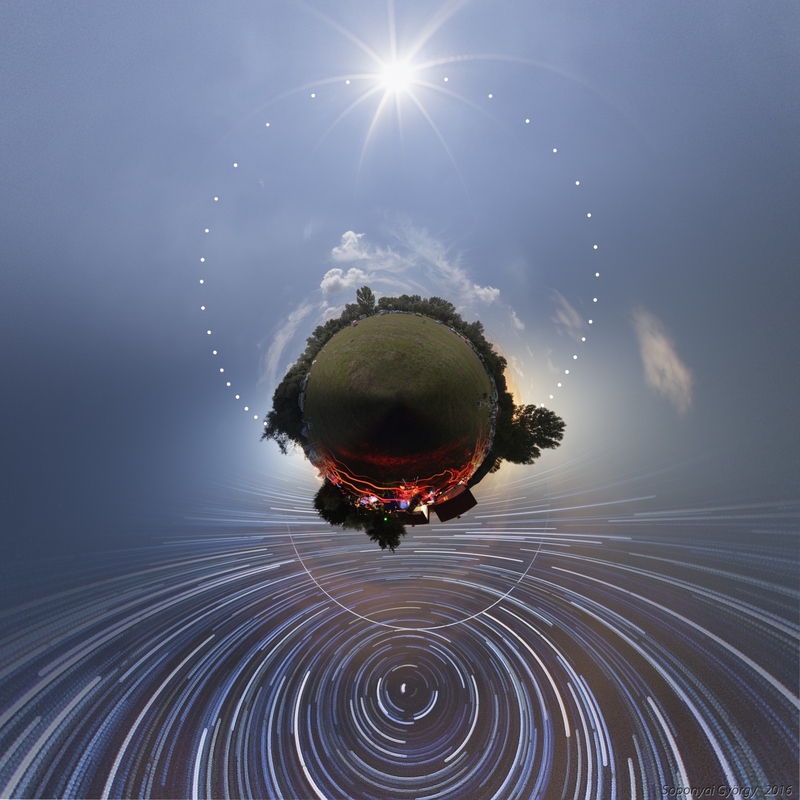 In fact, the images used to construct the little planet projection, a digitally warped and stitched mosaic covering 360x180 degrees, were taken during day and night near Tarján, Hungary, planet Earth. They span a successful 33-hour-long photo experiment at July's Hungarian Astronomical Association Astro Camp. The time-series composite follows the solar disk in 20 minute intervals from sunrise to sunset and over six hours of star trails in the northern night sky centred on the North Celestial Pole near bright star Polaris. The orbiting International Space Station traced the offset arc across the northern night. Below the little planet's nightside horizon, red light lamps of fellow astro-campers left the night-long, dancing trails.